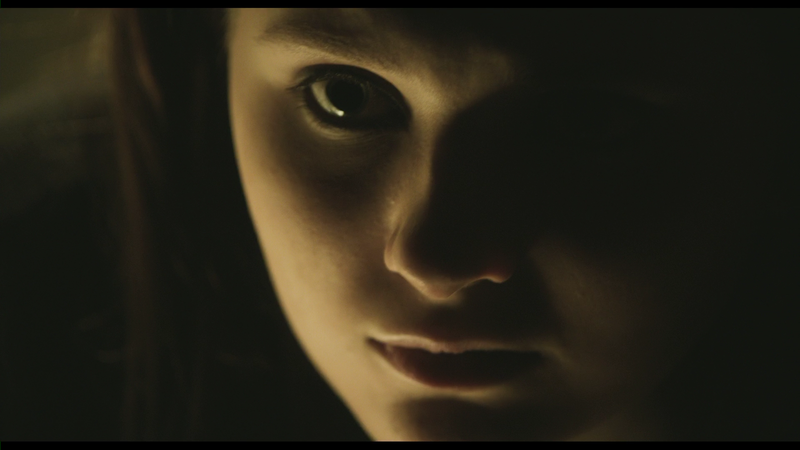 Haunter is hardly perfect and definitely uneven with the first half bordering on brilliance and the second predictable yet still between the fanastic mood setting and the performance from Abigail Breslin, this is at the very least worth a rental or maybe purchase. Note: This review contains major spoilers about the plot, so readers beware. Haunter opens on what appears to be the typical mundane life of a typical 1980s family. Lisa Johnson (ABIGAIL BRESLIN) awakens by her little brother speaking over a walkie-talkie and gets up for the daily grind of the miserable teenage girl. Her mom (MICHELLE NOLDEN) asks her to do the laundry. Eat pancakes for breakfast, Mac-and-Cheese for lunch and meatloaf for dinner. Dad (PETER OUTERBRIDGE) tinkers with the car in the garage while little brother Robbie (PETER DACUNHA) plays on his Atari… God bless the 80s! The next day, the whole routine repeats ala Groundhog Day: wakes up to brother over walkie-talkie, laundry, pancakes, etc. However, like Phil, Lisa is aware but her family is not but soon enough she begins hearing strange noises and even voices and begins to investigate from the creepy attic where she finds a Ouija Board and attempts to communicate and in the basement finds a small door hidden behind the dryer. Soon enough, however, she is visited by a man (STEPHEN MCHATTIE) who knows she knows what’s going on and warns her there will be harsh consequences to her curiosity and to continue on with the schedule. Of course, being a sassy teenage girl and the main character, she ignores the warning and soon enough makes contact with someone on the other side named Olivia (ELEANOR ZICHY) and receives a tip to look under the floorboards in her bedroom where she discovers news clippings for the abductions and murders of numerous women spanning decades. With the mystery unfolding, and Lisa gaining access to a locked cellar where she discovers remains, she continues to investigate and culls the ire of the “Pale Man” (as he’s credited). Meanwhile, her home life, such as it is, begins to deteriorate as her father goes manic. The first half or so of Haunter actually was amazing, mixture of mood and intensity not seen in many supernatural thrillers and certainly not in the independent market. Unless you read the back cover, the viewer hasn’t a clue what’s going on but when the “twist”, for the lack of a better word, is revealed, you realize it’s pretty clever and unique though it wouldn’t surprise me if something similar wasn’t shown on “The Twilight Zone”, “Amazing Stories” or “Tales from the Crypt”. Writer Brian King (Night Train) came up with something quite fun. That being said, when it is revealed and we get a better grip on the plot, the film does get a bit more predictable and formulaic. This isn’t to say the movie is worse and it still managed to keep my attention until the ending, which wasn’t bad and well played out, it’s just unfortunate it couldn’t sustain the mystery. 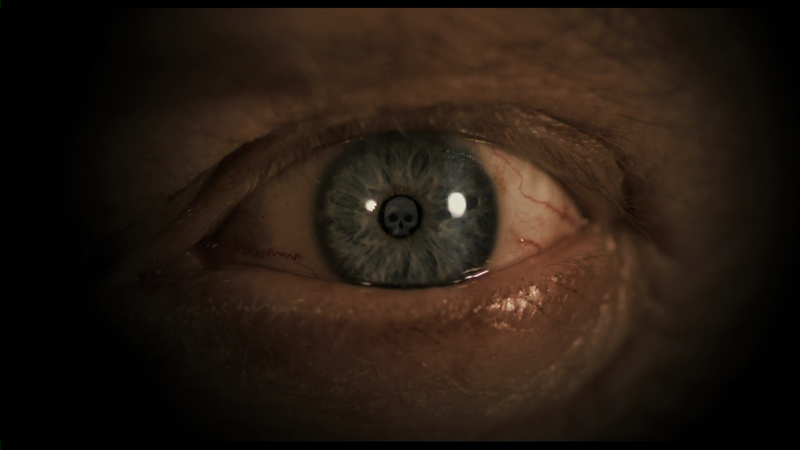 Even with the flaws, there are several reasons for the film’s success beyond the concept: director Vincenzo Natali (Splice, The ABCs of Death 2) along with his DP Jon Joffin (“The X-Files” and several TV movies and series) set the mood just right and while there are some jump scares, the majority are genuine rather than the lame cat/rodent/whatever jumping out from nowhere just to wake the audience up and remind them they’re supposed to be watching a horror movie. The mood setting is done to near perfection. The second reason is with the cast and in particular Abigail Breslin who continues to impress as she enters into a new era for her career following her Academy Award nominated performance in Little Miss Sunshine when she was just 10. Now at the age of 18, she still does good work such as in The Call and to a lesser extent given it was a limited part, Ender’s Game. The others in the cast also are decent from Peter Outerbridge and Stephen McHattie, but Breslin shines the brightest and really helps to patch any issues with a story that is a bit wonky in its logic such as the how and why. 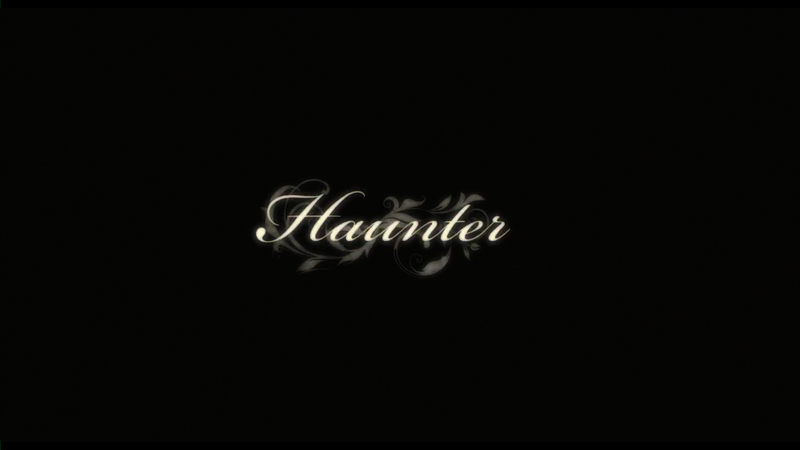 Even so, warts and all, Haunter is one of the better surprises to come out of 2013 and though it has its share of problems, if watched in the right setting (at night with lights off), then this will hit the spot. Audio Commentaries – There are two tracks, one with Director Vincenzo Natali and second with Writer Brian King. Given both are solo tracks, they can be a bit flat and considering Natali and King are friends, it’s surprising they just didn’t record a commentary together. In any case both of these offer different perspectives so they’re not completely useless and might be worth a listen. Behind the Scenes (20:42; HD) provides a look at how the movie was made with cast/crew interviews. Although relatively lengthy, it’s also pretty basic but you do get some on-set footage and it’s not entirely worthless like other BTS featurettes. Haunter – The Complete Storyboards (54:50; HD) – Here we get to see director Natali’s storyboards for numerous scenes. All it is are the storyboards set against the creepy score. Also included is the Teaser Poster and Theatrical Trailer (1:45; HD). MPI Media spooks and scares Haunter onto Blu-ray presented with a 1.85 widescreen aspect ratio and in 1080p high-definition. I’m fairly certain the movie was shot digitally and looks it as there are no signs of grain or noise making the details look a bit flat and almost TV-like in cost; it’s not bad and some scenes do look sharp. On the other hand, when we get out into the fog, there are obvious banding issues rather than a smooth transition. It’s not a bad transfer, but it does look on the cheaper side. Fortunately, the 5.1 DTS-HD Master Audio track doesn’t disappoint and IMO is the most important aspect given the genre and the mood set by the filmmakers. Dialogue levels sound good taking place through the center channel but the front and rear speakers make good use of ambient (creepy) noises, the spooky score and ghostly voices reverberating in a room. Overall, Haunter is hardly perfect and definitely uneven with the first half bordering on brilliance and the second predictable yet still between the fanastic mood setting and the performance from Abigail Breslin, this is at the very least worth a rental or maybe purchase given, at the time of this writing, it’s only $10. The Blu-ray released by MPI offers OK video and good audio transfers while the bonus features are more than I had expected.